Morrowind is Calling You. Don’t Miss Your Last Chance to Pre-order!! LAST CHANCE TO PRE-ORDER. WILL YOU SET A COURSE FOR MORROWIND? The iconic Morrowind returns in one week! 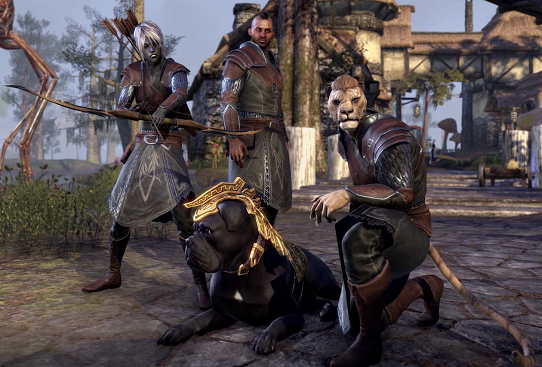 Packed with a new class, tutorial, and hours of new adventures, it’s the perfect entry point to The Elder Scrolls Online whether you want to play solo or with others. Don’t miss out — pre-order your copy before it’s too late to guarantee exclusive digital items — including the exclusive Warden Costume as seen in the Announce trailer, the War Dog Pet, and more — with the Discovery Pack. Morrowind is the biggest addition to ESO yet. Missed out on any of the trailers? Head to our website to watch them all now! Add email@mailer.elderscrollsonline.com to your address book. © 2017 ZeniMax Media Inc. Trademarks are the property of their respective owner. One-time purchase of the game and internet connectivity required. All Rights Reserved.